In today’s culture, being an entrepreneur is often over-romanticized. The truth of the matter is that most people do not have the stomach to be a full-time entrepreneur, where they could easily lose everything and have to start all over. And listen, that’s OK, because for entrepreneurs to achieve their vision, they are going to need a vast number of loyal, passionate, hardworking people helping them. I know this firsthand. I co-founded my current company, TL Connects, in 2010 after the devastating failure of my last company in 2008. In 2010, we had these grandiose ideas of how our technology platform was going to revolutionize engagement for brick-and-mortar merchants only to scrap the technology and start over in 2012 with the same grandiose vision. Our attrition rate was atrocious and the business was not sustainable with our current product. It took us six months to have the new product beta ready. So how did I start selling it? Good old fashioned cold calling. I walked in businesses, cold called via phone, cold e-mailed, and cold outreached on social media. Three months later, we had reached 100 customers paying us for our product and hired our first two salespeople, leading us to tens of millions of transactions year just five years later. The No. 1 way your business is going fail is a lack of execution on three fronts: sales execution, operation execution and financial execution. 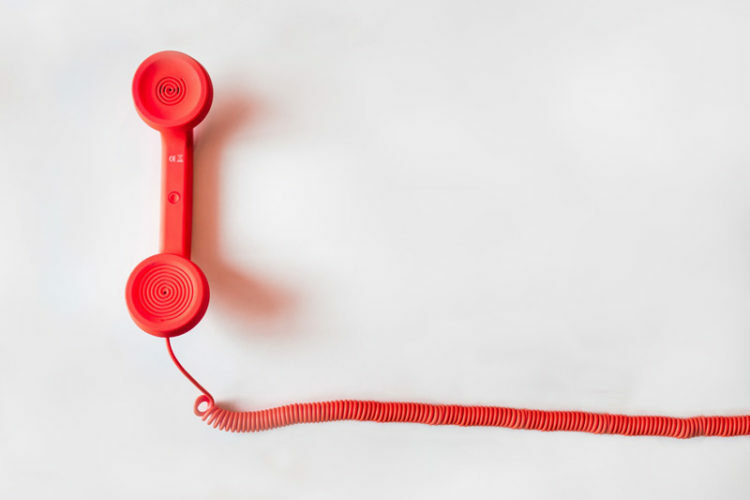 If you want to be successful at cold calling on the phone, then follow these three simple steps. You’ve got to court the prospect a little. After all, how do you approach a person in a bar? Maybe buy them a drink, ask questions, listen intently, and keep the conversation going. So when you get decision-makers on the phone, immediately state the reason for your call. For example, “Hi, I’m Joe with Acme, and we help companies like yours.” Then follow up with a powerful open-ended question. If they agree you solve a problem for them, ask for a meeting. If they don’t agree you solve a problem for them, ask another question based on the information you just gathered. Stop babbling during your pitch. More often than not when I hire new reps, even ones with cold calling experience, they immediately start pitching as soon as they get a decision-maker on the phone. They hear a rebuttal and they continue to pitch through rebuttal. The great thing about technology today is we can record every call, dissect the call, and use training to fix the problems. At our company, we go through calls with our reps every single day. Set a goal, pick the phone up, and grind it out until you’re done. If you want four appointments today, you might have to make 150 calls and send 90 emails and 50 social media messages to accomplish this. Far too often, the activity levels are just not there to generate success. And my last piece of advice: No matter what position you are in, never stop cold calling. Cold calling works great mixed in with your digital marketing strategy as well.